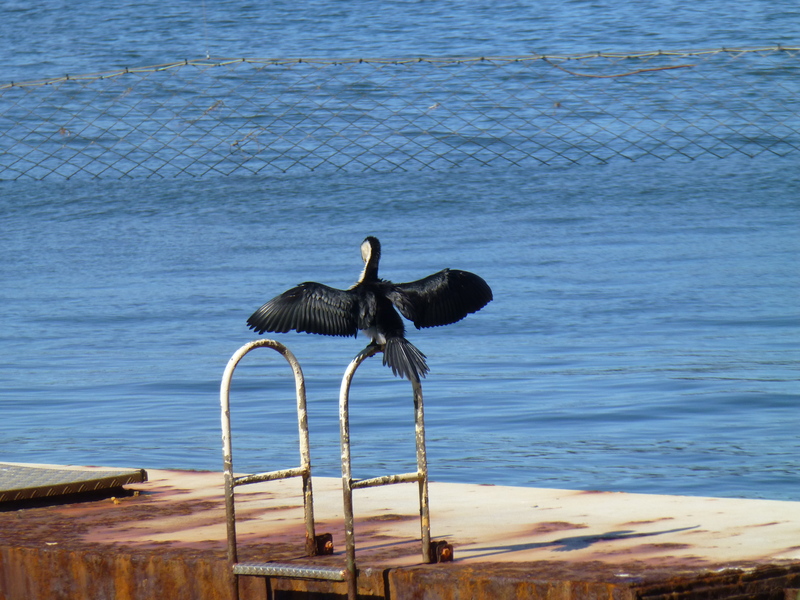 Off I go, thinks this Little Pied Cormorant, moments before take-off. These little birds fascinate me. They swim low in the water, and can dive and swim with enviable ease and efficiency, often re-appearing quite some distance away. In the local swimming baths near where we live, water birds are a common and delightful sight. 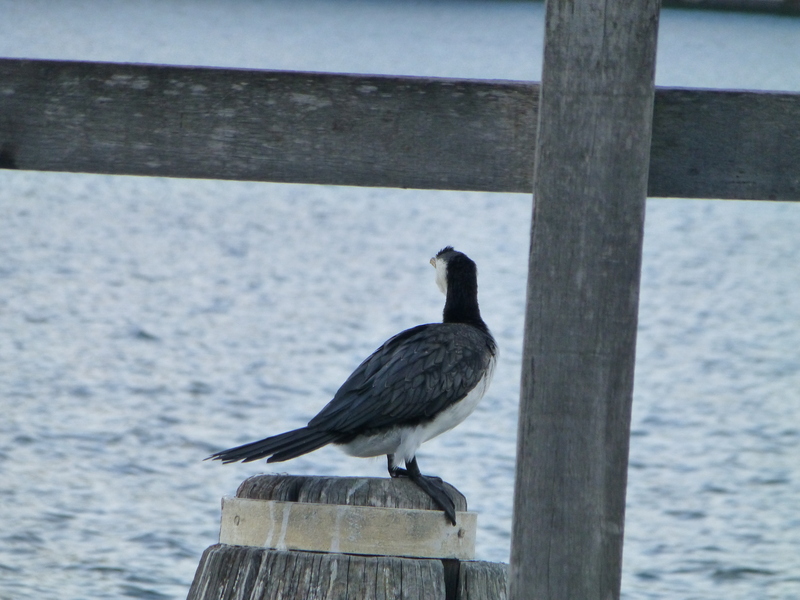 One of the most frequently-seen birds is the Little Pied Cormorant. Their method of feeding — diving for aquatic animals– necessitates their habit of spreading out their wings to dry. 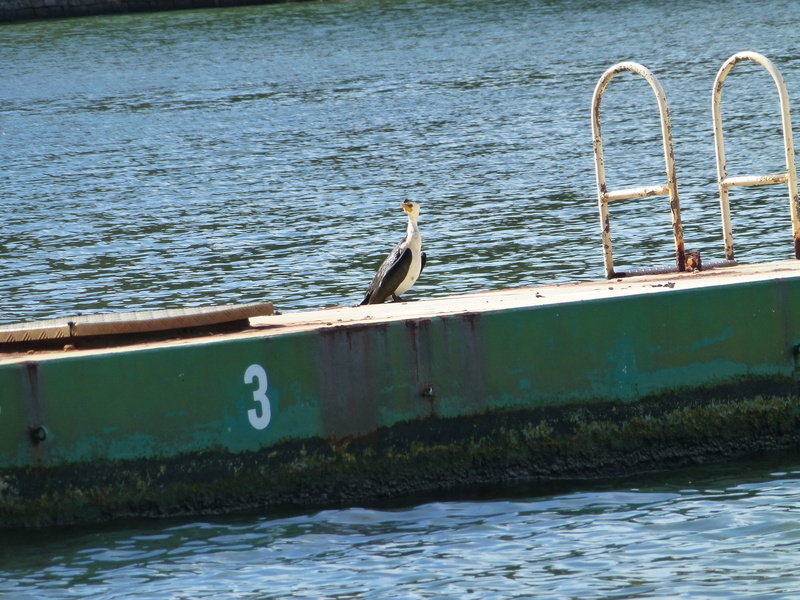 These small shags sometimes flock with their slightly larger relatives, the Little Black Cormorants.